A program that coverts SRT subtitles files to fcpxml for import into DaVinci Resolve and Final Cut Pro. 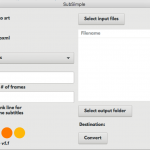 SubSimple also converts fcpxml subtitle files to SRT! 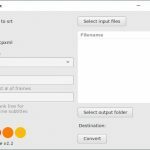 Resolver Tools is a community marketplace and repository for film finishing apps, tools and programs. The site’s main focus is to provide a “plugins” community for users of DaVinci Resolve and other film finishing / editing software. Approved creators can open a seller account to distribute their content. You’ve made your own LUTs, VFX, Overlays, Presets, Programs, Tools, etc. and would like to share or sell your creation? You can open a store on resolver.tools!